It’s hard to believe, but Judd Hirsch almost turned down his role in the classic 1978- to 1983 sitcom Taxi. 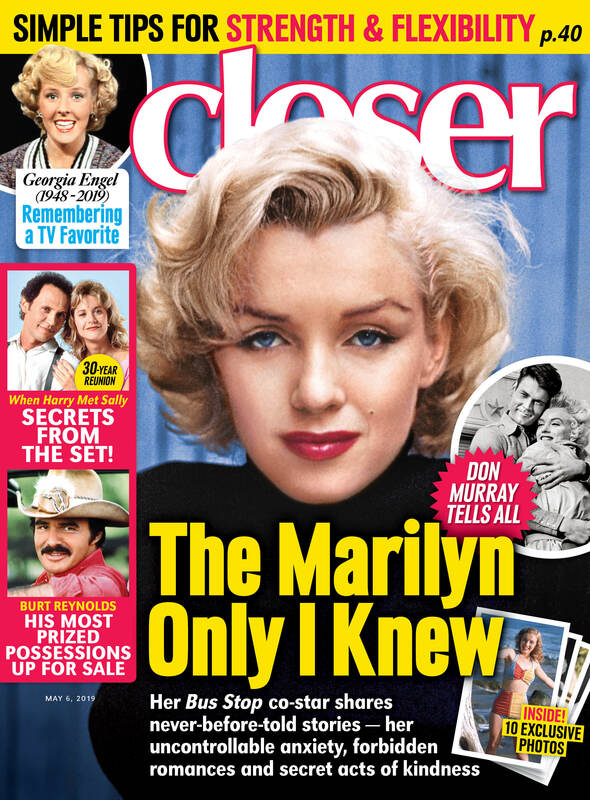 “I didn’t think television was for me,” the actor, 83, exclusively tells Closer Weekly in the magazine’s latest issue, on newsstands now. But some inappropriate laughter during his Broadway run in Neil Simon’s Chapter Two changed the course of his life. “It was a serious play because Neil had just lost his wife,” he recalls. “On opening night, there was a guy in the front row cracking up — I thought he hated me and was trying to ruin me!” Turns out it was Taxi co-creator James L. Brooks, who came backstage to say how much he loved the play and soon offered him the role of Alex Reiger. “I had just become a father and wanted to concentrate on the stage. I was 40, and thought maybe the series would last two years.” Instead, it catapulted Judd to stardom with two Emmys for the sitcom, films like Ordinary People, Tony-winning roles in I’m Not Rappaport and Conversations With My Father, and his upcoming guest role on Law & Order: SVU. Now the twice-divorced star opens up to Closer about fatherhood, the role laughter plays in his life, and how he doesn’t think of himself as an octogenarian. “I am in no decade,” he laughs. “I’m all about the future!” Scroll down to read our exclusive Q&A interview with Judd! It’s great to see you back on-screen on SVU. What can viewers expect? You recently starred on the CBS sitcom Superior Donuts. Do you naturally gravitate toward comedy? Yeah, I like seeing the world from a funny side. I did Death of a Salesman and found humor in that! Everything is humorous, and you need to remember that. It’s the only way to get through life. What’s the first thing that comes to mind when I mention Taxi? The laughter was real. Nothing had to be dubbed. Our writers were brilliant, every episode was different and unexpected, and Taxi became a classic. The show just had its 40th anniversary. Isn’t that crazy? I remember the debut show — the whole cast was gathered at the producer’s house. Seeing the cab driving across the bridge and then, much to my surprise, my name was the first one you see. I was like, “Oh my God!” I thought the cast was going to hate me — keep in mind, my character was not the nice guy — but we all loved each other and we became a family. What was that time like for you? There were only three networks, so the ratings were bigger than today. More eyeballs. It was the beginning of a lot of careers, like Danny DeVito’s. The show was massive and started my career in many areas. Like your Oscar-nominated role as a therapist in 1980’s Ordinary People. How did you end up in the film? I had to be “borrowed” from Taxi. I remember [director] Robert Redford called me and said the life of the [suicidal] kid was dependent on me, and those were the magic words to get me to take the part. I found the humor in that role, too. If I can’t find it, I can’t take the part. Any role you’re particularly grateful for? When I’m on the stage, I have a chance to really develop characters. I did that with I’m Not Rappaport for over 1,000 performances. Most people would ask, “Why play the same character so many times?” But I was so comfortable being him, because I knew him on so many different levels. You nabbed your first Tony for that, then won your first Golden Globe for the sitcom Dear John. How have you moved between Broadway and Hollywood so effortlessly? I always wanted to be a stage actor, so whenever we had a hiatus, I went back to New York to do a play. I knew nothing about Hollywood [when I started]. I’m an East Coast, New York guy. So do you feel proud of how high you’ve risen in such a tough business? No, I don’t. I’m very hard on myself. I think I should have done a lot more plays and movies, and played bigger, more important characters. Yes, I’m at the top of the cake, but if I could rewrite my career, it wouldn’t look like this. I didn’t start off as an actor. I got a degree in physics. I wanted to be a scientist. That’s a quantum leap from acting! Why did you switch? When I was 24 or 25, I enrolled in my first acting class. My attitude was that I could represent how I was brought up, which was poor and living in New York. I thought I was maybe funny, in a minor way. What drew me to this profession? It was all about value. If I thought [a play] wasn’t very good, I wouldn’t do it. I am all about the inside of the job, which is true acting. Now you’ve been acting for close to six decades. How does that feel? You never think you’re the old guy, but I am! I’m 83, but don’t feel I look it, or act like it. How are your 80s treating you? I feel like another gate has opened for me, because I now have to fight a little bit. If I hear about a part in a movie that I feel I’m right for, chances are there are 16 other guys vying for it. I may be on the B-list now, but I enjoy what I am doing. You are also a father to three children. Do any of them want to act? No. One son [London] is 17, and my daughter [Montana] is a college graduate and very shy about this. We really don’t talk about my work. I ask them about it because I value their opinion. My other son [Alex] is a musician. I used to envy those who came from acting families. You said you don’t think you act like you’re 83. Any plans to slow down? No. I did just have back surgery, so that is temporarily slowing me down, but I plan to keep going. I may not be able to play the guy that jumps out of an airplane but there is still so much I can do. I am not done yet, if that’s what you mean. I have a long way to go! For more on Judd Hirsch, pick up the latest issue of Closer Weekly, on newsstands now — and be sure to sign up for our newsletter for more exclusive news!